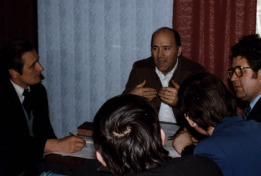 In 1979, key leaders from twenty missions organizations and several national leaders working in Eastern Europe met to launch a united inter-mission effort for advancing biblical training behind the Iron Curtain. Five of those missions organizations initially agreed to cooperate in developing a comprehensive training program for laymen in Eastern Europe and the Soviet Union who desired to become church leaders, resulting in the Biblical Education by Extension (BEE) curriculum model. This effort eventually grew to 12 participating missions organizations, which contributed staff and resources to the newly conceived BEE World and appointed Dr. Joseph (Jody) Dillow and eventually also Rev. Al Bridges to lead it. 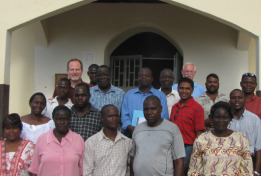 Since inception, more than 50,000 students in 15 countries have taken BEE courses, with at least half completing the seminary curriculum and training others to continue the pattern of 2 Tim. 2:2, “teach these truths to faithful men who will be able to teach others also.” Dr. Dillow and Rev. Bridges continue to lead BEE World today. In 1992, with the fall of the Iron Curtain, we felt God calling us to extend BEE. In 1994, the BEE Board of Directors authorized the formation of a new BEE ministry called BEE World, which would take the same discipleship strategy, philosophy, and curriculum beyond the borders of Eastern Europe and the former Soviet Union to countries of the Middle East, Africa, and Asia.